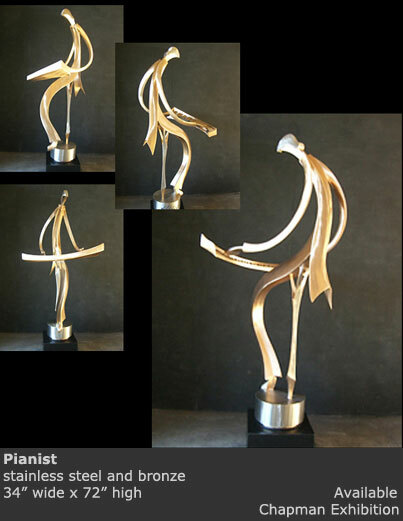 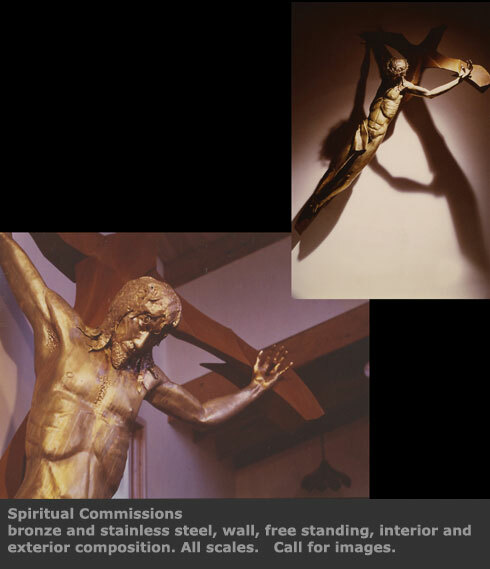 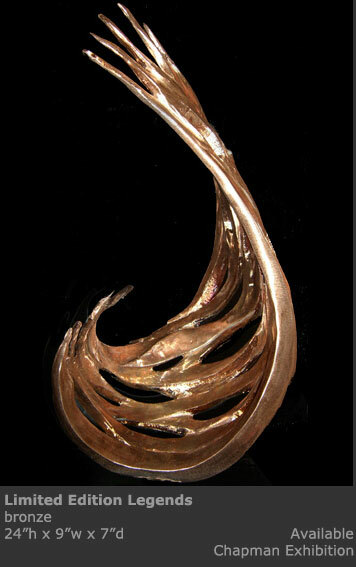 John Matthew Richen has been a professional sculptor since graduating from Oregon State University in 1970. 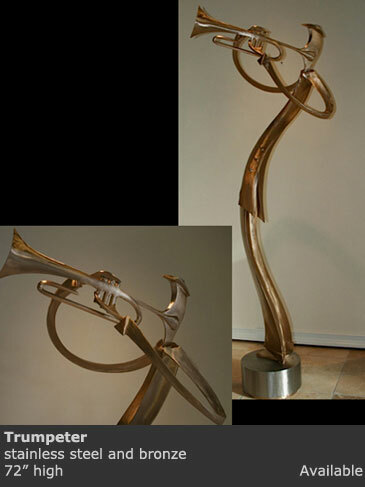 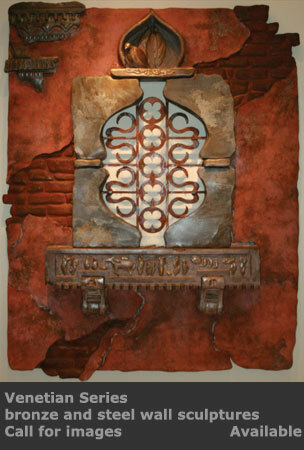 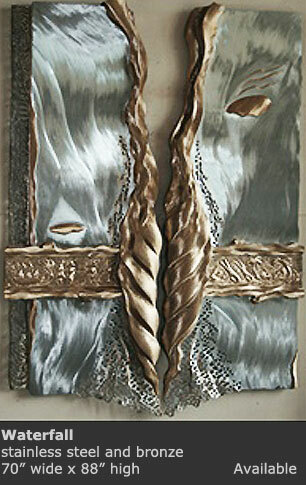 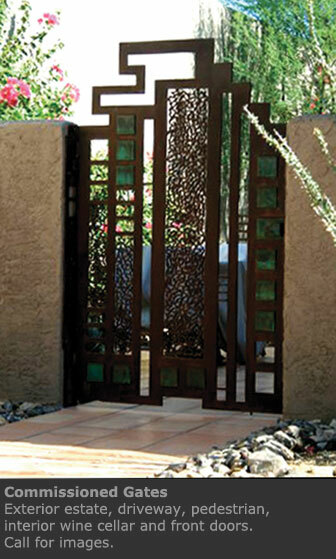 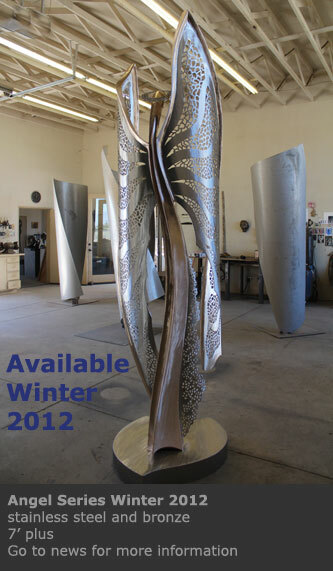 His expertise in metal fabrication brought him immediate acknowledgement from the international art world. 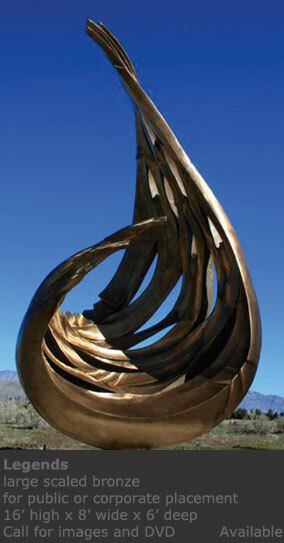 In the late 90's he designed his studio in the California Desert in a small peaceful community that provides year round work conditions and inspiration from the variety of landscapes. 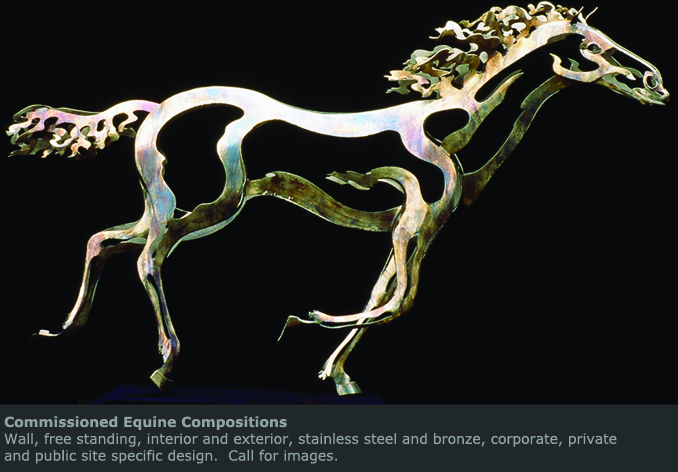 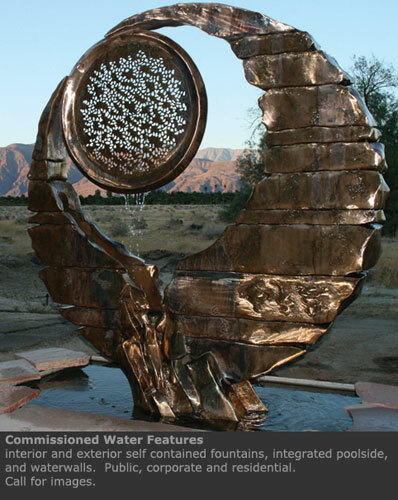 In addition to bronze, stainless steel and aluminum, this innovative sculptor also incorporates Cor-ten steel, granite, fused glass, water and lighting into selected works. 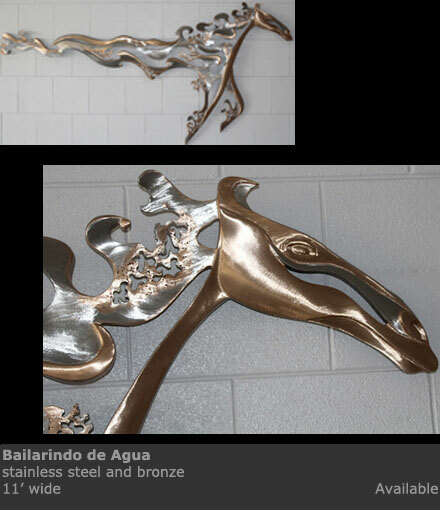 "I strive to create art that will endure, educate and enrich humankind. 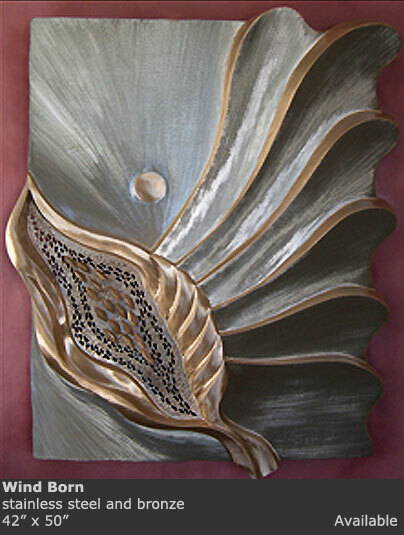 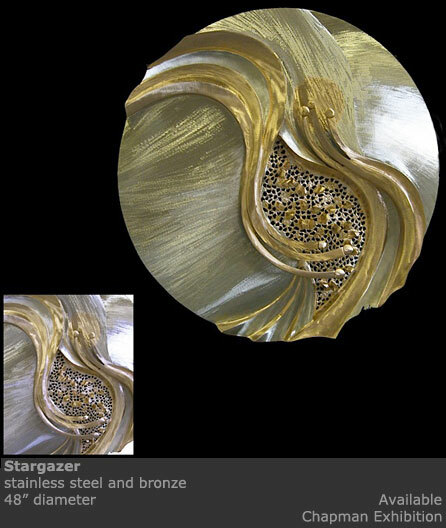 Metal is fluid and reflective and the medium's strength allows me to work in any scale."